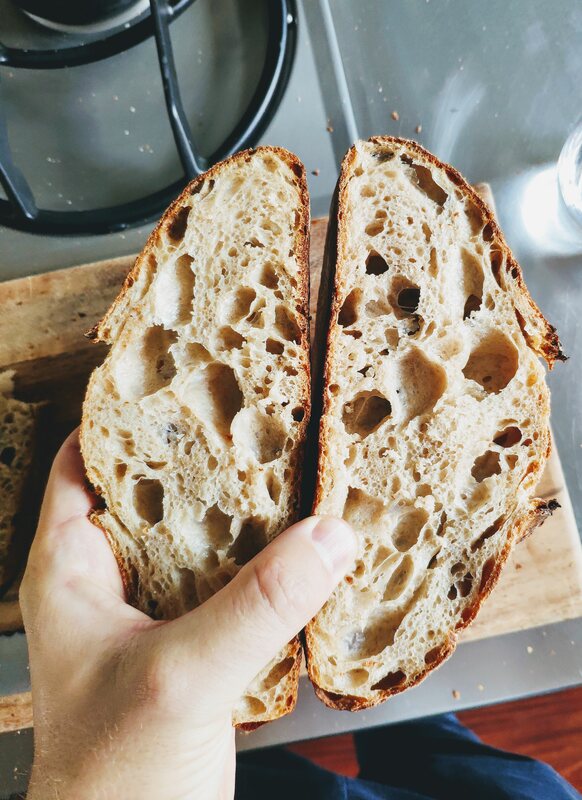 I'm a novice baker (baked maybe my 10th loaf) and I have an issue with my "tartine" style country bread: despite developing the gluten quite well and achieving a beautiful open crumb, the bread proofs more outward than upward. I did a 2 hour autolyse, 5 rounds of stretch and folds over 90 minutes (instead of over 3 hours, following the method "Tartine for dummies" on Youtube). 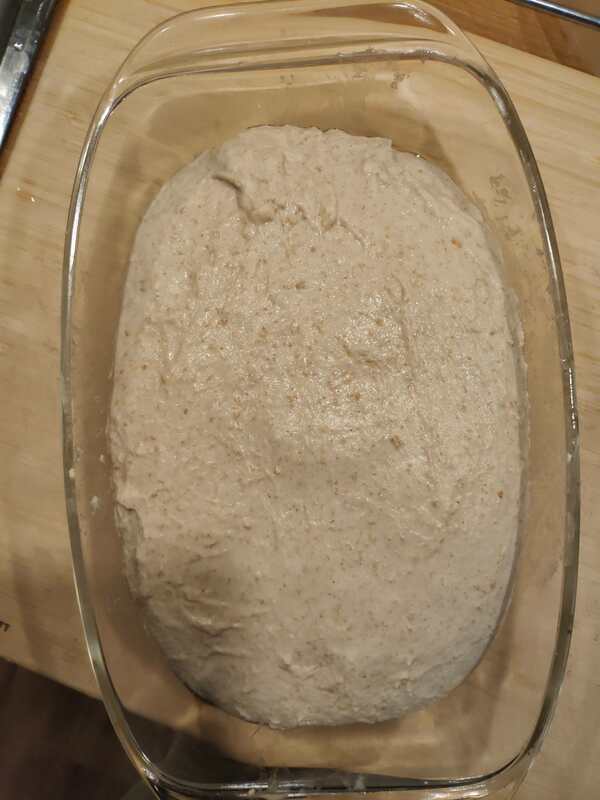 Bulk fermented 24h in the fridge with not a lot of growth, shaping with reasonable strength and tension (I bought a high gluten bread flour, so the handling of this relatively high-hydration dough was pretty cool), 12h fridge proofing, seeing that it didn't rise a ton. So I gave it 5 more hours at room temp, which finally produced the right springiness. When I dumped the loaves into the Dutch oven, they were quite runny again and baked into beautiful, but flat loaves. My assumption is that I lost a lot of the strength and tension in the long proof at room temperature - but my starter didn't move much in the 4°C fridge, so I decided for the room temperature proofing. 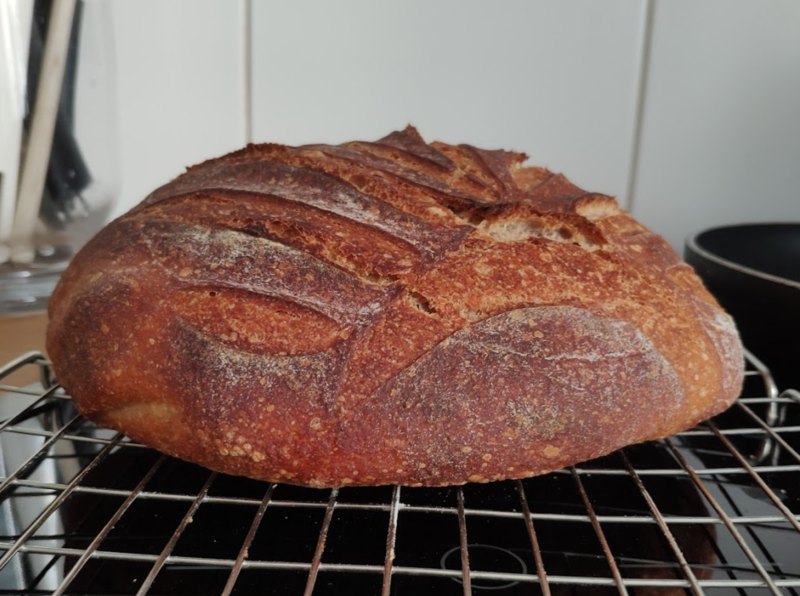 When I baked my first few loaves, I added very small amounts of active dry yeast to help my young starter out - those loaves proofed considerably faster and had better ovenspring (I didn't lose all the tension as I was able to proof them in the fridge, and a lot faster). Ideas? More starter? Try to get the starter stronger? (it did float, btw). Other ideas about the process? This bread was formulated with new sourdough bakers in mind. It could be called, “a loaf for learning”. The idea is to simplify the process so that the baker has the best chance for success. Once this bake is achieved and the baker is confident, they can systematically move on and add different techniques to their repertoire. I think the high hydration negatively affected your bake. It is possible to bake wet doughs and produce masterpieces. But it is not the best choice for someone new to sourdough. Happy baking you are getting there. Next time is the charm. I agree completely with DAB. 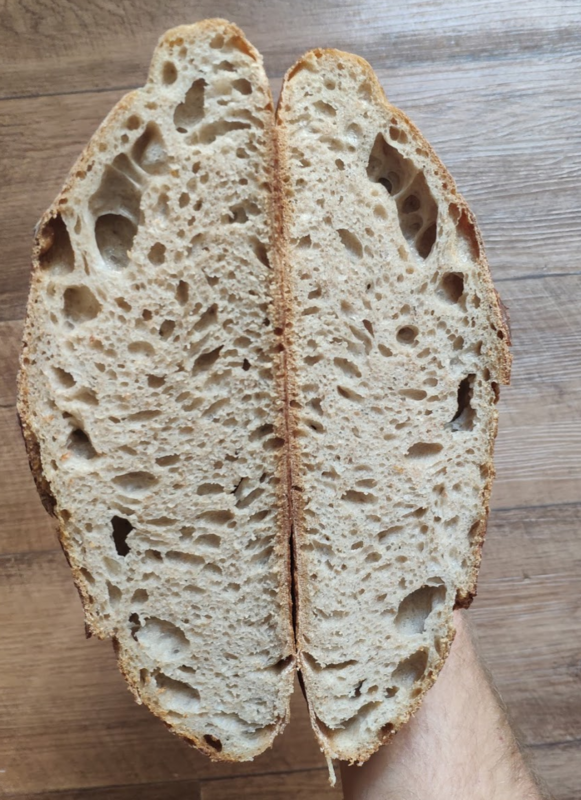 The hydration was not the issue, and the crumb suggests to me that you handled the dough correctly (i.e., shaping is not the issue). What occurred was a breakdown of your dough. Even though you do not see a change in the shape of the dough, stuff is happening internally, and you need to be aware of that. 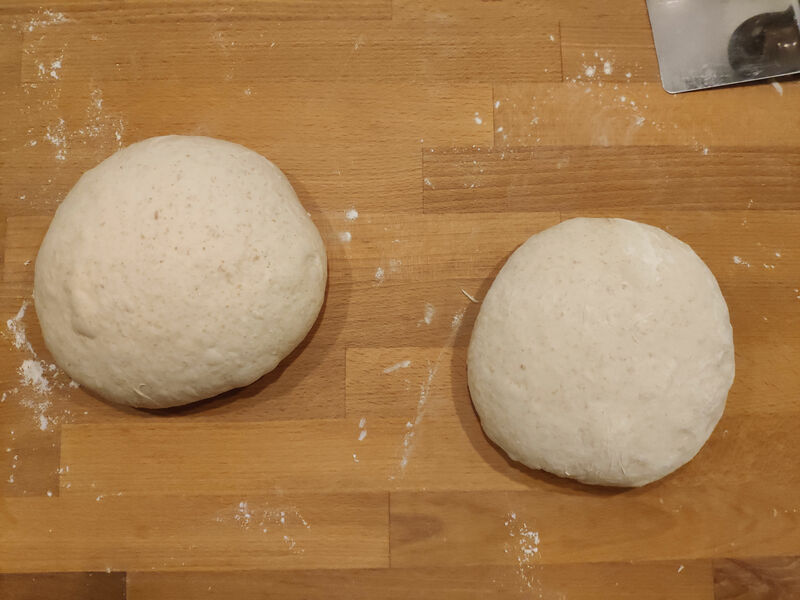 Do exactly what you did this time, except do either the bulk fermentation or final proofing (one or the other, not both) at room temperature so that you can observe the change in the dough during that phase of the process. Wow, thank you all so much for your help! 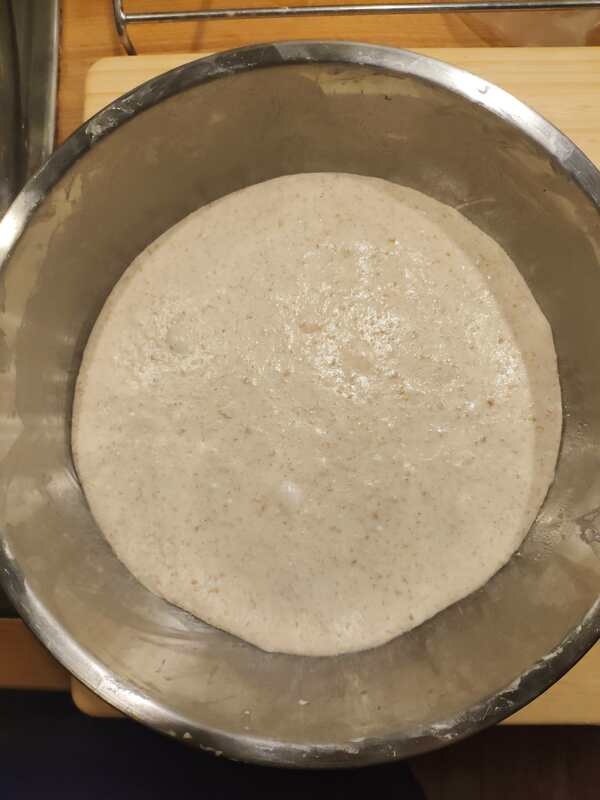 This is awesome :) I must admit though, I'm very surprised you diagnosed an overproofed dough - when I took it out of the fridge (both after bulk and the rise in the banetons) it hadn't moved much at all! It also sprang right back when I gave it a poke. And after the 5 hours on the counter it had moved by maybe by 30-40% and finally had a slower poke response. 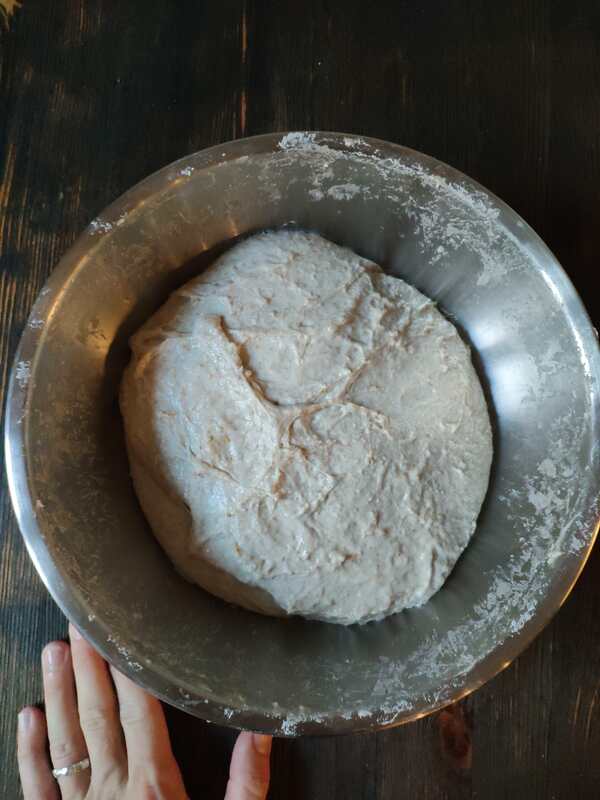 So I will definitely try to do a slightly less hydrated dough (fun fact: my first three loaves were a 1:2:3 dough - worked like a charm, but were relatively dense, hence I was inspired by the promise of the open crumb by the tartine recipe!) and I will also try to proof at room temp from the start! Gotta tell ya, I'm getting the feeling the real skill in bread making is finding that schedule that works with your work hours! Will report back, thank you guys again! I promised to give an update once I incorporated your ideas to the next batch, so here it goes! What did I do differently? 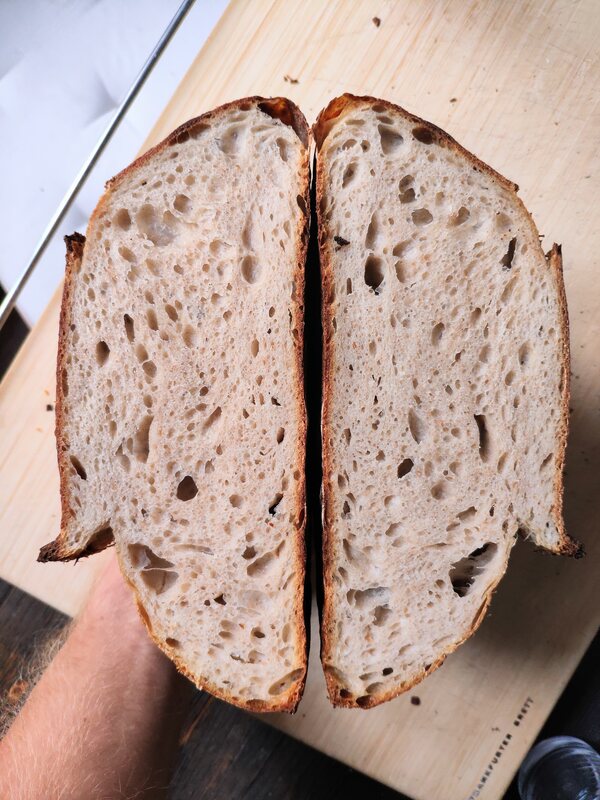 - Crumb is slightly less open and glossy as the last batch, so maybe the gluten needs more stretch & fold action? Another update – is it not the fridge's fault? encouraged by the last test I wanted to see if I could push the envelope a little bit. 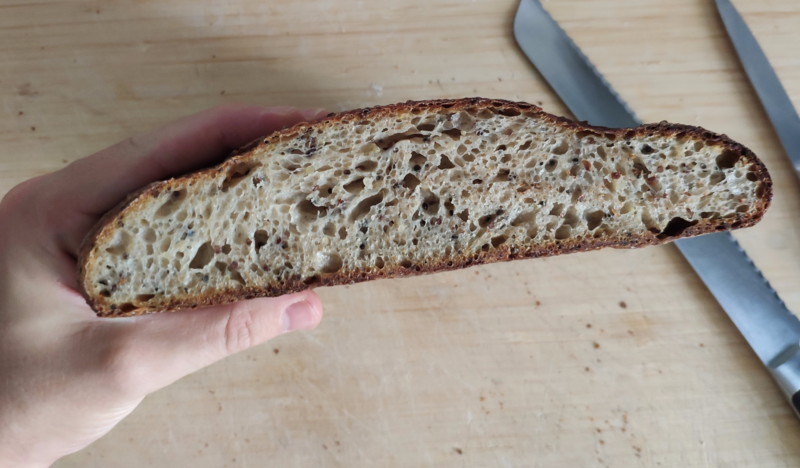 To sum up the previous conversation: You guys suggested I was overproofing my bread – so as described in my previous post I baked it right out of the fridge despite it looking quite underproofed. And indeed, it was much less of a "spreader". 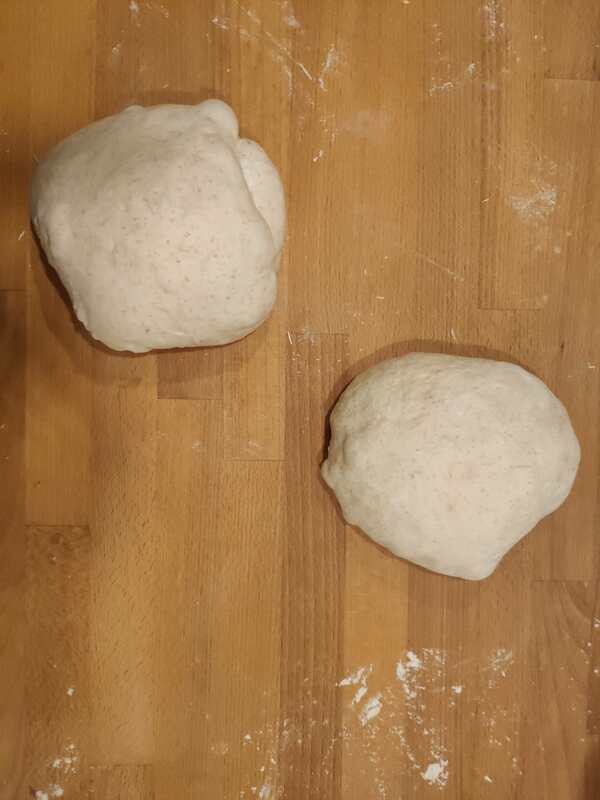 So this time, I tried some controlled bench proofing after the fridge – because, again, despite having spent almost 36h in the fridge, the dough hadn't risen at all. Really, nothing. Felt dense and sticky, not puffy or airy. 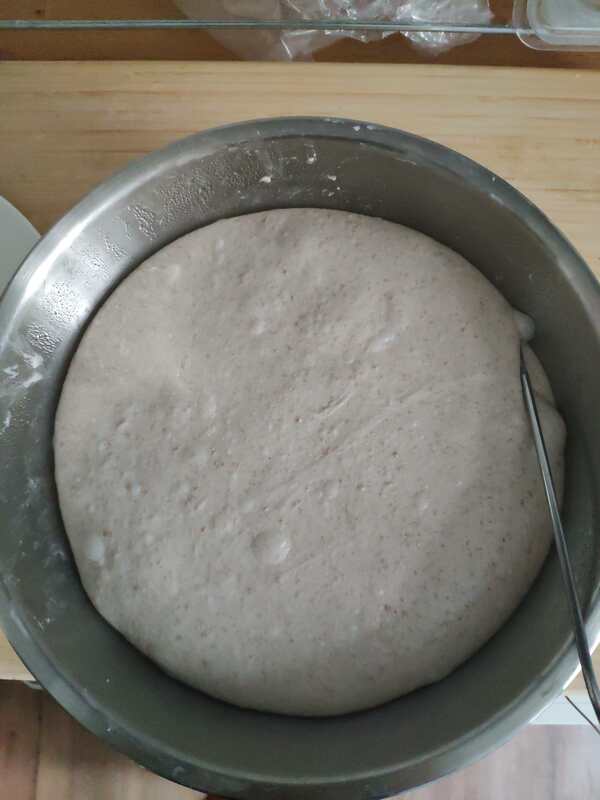 So, I gave this dough the treatment Trevor Wilson suggests: Very long autolyse, divided the dough and added to one loaf 100g (roughly 25%) of sprouted quinoa. Then on to S&F for almost 6 hours (not a lot of growth here, maybe 30%, shaped, then into the fridge for 36h without any sign of growth. Took it out, got scared I might have created another set of spreaders, so tucked them in once more (no full shaping, just rounded them a little on the bench while trying to be gentle). Then, let them proof until the loaves showed some signs of growth. Both loaves behaved pretty similarly at this point. I baked them before they looked puffy, they rose by maybe 50% or so. Now to the interesting bit: Baked the plain one first. Actually, a decent rise by my current standard! The second (with the quinoa seed), however, baked right after, came out flat. Now I'm wondering if the Quinoa simply messed with my hydration and somehow robbed the loaf its strength? I'm surprised because the loaf didn't feel much different in the shaping stage to the plain one. going in the basket and right before it comes out of it. 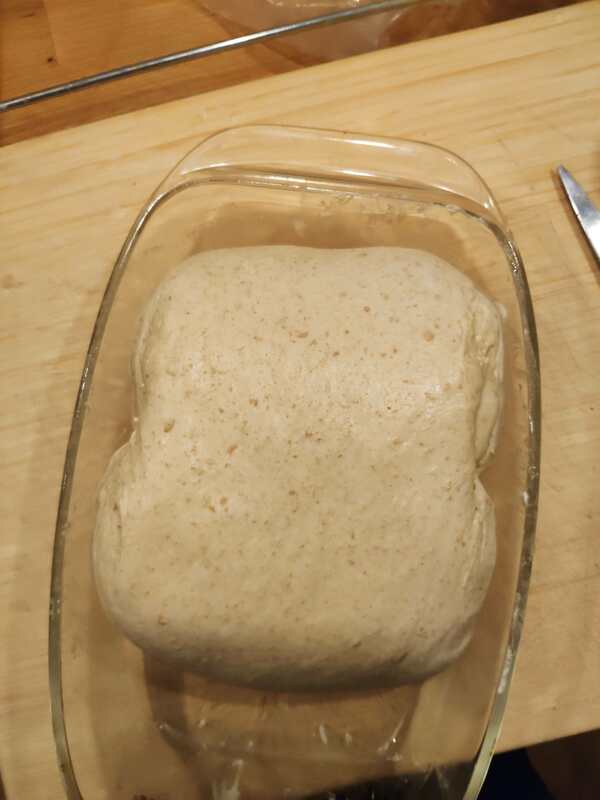 I suspect the basket is way too big for the dough going in it. Temperature is around 14°C – another important insight is that dough seems to take forever to cool down! Didn't have time to shape it in the morning, so I put it into the bottom shelf with some cooler packs on top to inhibit further growth. Worked like a charm! Bench rested for a full hour (they held their pre-shape surprisingly well) to let them come to temp (Kat's advice – given that the dough was really cold (around 4°C) I was going to let it proof in the banneton, but I also knew that there won't be much action given my frost-fearing starter... then I shaped. A winner! By my standards, this oven spring was amazing! The photo doesn't do the crumb justice as it was really quite light and fluffy (this was the slighly bigger loaf). Even crazier ovenspring and an even more open crumb! I must be crazy! Big takeaway: Don't get impatient in the proofing stage! And overall: I think my flatties of the past were really largely underfermented bulks as I never got the time and temp right before. Now I won't stop bulking until I see some serious bubbles! Thanks again everyone, and especially to Kat :) Already looking forward to the next bake! in big format and what an amazing bake Ken and so many amazing Ahas..which will stay with you! Those are beautiful. I'm bulking a champlain right now, doubled also. I hope it comes out as well as yours.